Sabey Data Centers has completed the first facility on its Intergate.Quincy data center campus in Quincy, Washington, just seven months after commencing construction, the company said today. The first tenant has occupied its space in the 139,000 square foot data center, the initial phase of what will be 520,000 square feet of space in Quincy. Sabey is currently working on tenant improvements for additional customer space. The Intergate.Quincy campus has 60 megawatts of capacity of hydro-electric power priced at 2.25 cents per kWh, among the lowest-priced power in the nation. Intergate.Quincy is the sister campus to Intergate.Columbia, Sabey’s 430,000 square foot campus located near Wenatchee, Wash. The Sabey campus is the latest in a series of data center construction project in Quincy, a small town in central Washington that benefits from its cheap green power and a climate that’s ideal for fresh air cooling. Microsoft and Yahoorecently completed the first phases of major expansions in Quincy, while Dell and Vantage Data Centers have facilities under construction. In Seattle, Sabey is continuing to build at Intergate.East, its flagship, 1.4 million square foot campus in Seattle. Its first “turnkey module,” SDC52, is fully leased and supports 4.5 megawatts of IT load. A second module, SDC42, will be ready for occupancy in December 2011. In Northern Virginia, Sabey has begun construction on a 490,000 square foot data center campus in Ashburn, Virginia, one of the nation’s leading data center hubs. Sabey has also entered the New York data center market, acquiring the majority interest in 375 Pearl Street for $120 million. Formerly a giant switching station for New York Telephone, the Intergate.Manhattan facility is being updated to install new infrastructure and capacity. Sabey has more than 20 years of experience in the data center business and is perhaps the largest provider of hydro-powered facilities in the United States. 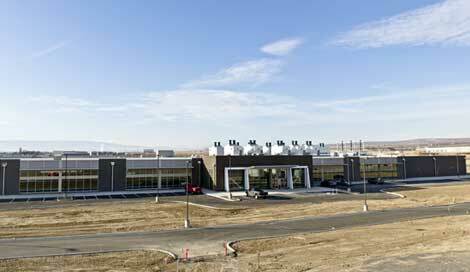 Sabey’s current tenants include Microsoft Corporation, JP Morgan Chase, Savvis, Internap, VMware and T-Mobile.